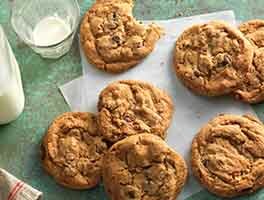 EVERYONE has a favorite chocolate chip cookie recipe; this is ours. These golden cookies are packed with chips and loaded with buttery flavor. They walk the line nicely between crunchy and chewy: the edges are crisp, while the center is "bendy." Our guarantee: These 3" cookies are fairly thin, with the chips under the crust offering a "bumpy" top surface. Their edges will be crisp and brown, while their centers are softer. *For cookies with extra chocolate in every bite, use up to 16 ounces (2 2/3 cups) chocolate chips. In a large bowl, combine the sugars, butter, shortening, salt, vanilla and almond extracts, vinegar, and baking soda, beating until smooth and creamy. Mix in the flour, then the chips. Use a spoon (or a tablespoon cookie scoop) to scoop 1 1/4" balls of dough onto the prepared baking sheets, leaving 2" between them on all sides; they'll spread. Bake the cookies for 11 to 12 minutes, until their edges are chestnut brown and their tops are light golden brown, almost blonde. Remove the cookies from the oven, and cool on the pan until they've set enough to move without breaking. Repeat with the remaining dough. 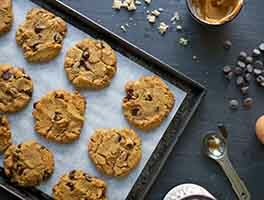 To make mocha chocolate chip cookies, add 1/2 teaspoon espresso powder to the dough along with the salt. 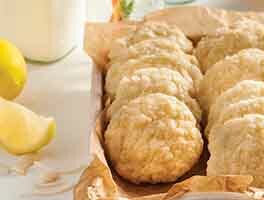 To bake extra-big, bake sale-style (5") cookies, scoop the dough in scant 1/3-cupfuls onto the baking sheets. Bake for 13 to 14 minutes (if the dough hasn't been refrigerated), or 17 to 18 minutes (if it's been refrigerated). A mere sprinkling of sea salt atop the balls of cookie dough before baking adds wonderful flavor to the finished cookies. For a deeper flavor, more toffee/caramel than vanilla, refrigerate the dough for 24 to 48 hours before scooping and baking. Bake till cookies are brown around the edges, with just a bit of pale center, about 12 minutes. I love this recipe! The first time I made this it tasted great, but a little too sweet for me. The second time, I browned the butter, substituted veg. oil for extra virgin oil oil, and instead of 2/3rd cup of white sugar I used 1/3rd cup of white sugar. Then I baked it half way, took them out & pressed them down, and put them back in for about 5-7 minutes. Turned out AWESOME! Making these again! (Also, pecans taste wonderful in these cookies). Of all the different chocolate chip recipes I've made over the years.....this is the BEST! My wife and I made these cookies last night. The only alterations we made were to add browned butter, chilled, and a little less almond. We also let the dough sit in the refrigerator for an hour. 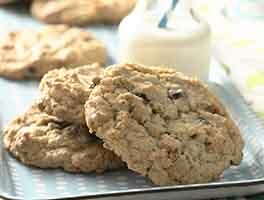 The entire family agrees, that these are the best chocolate chip cookies, we have ever tasted! I printed the recipe, and taped it on the inside of the kitchen cabinet door. These cookies will be made often! I (and my gift recipients) really love these cookies! 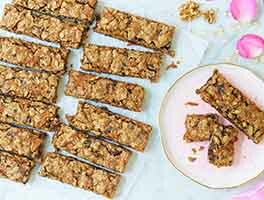 I am looking to branch out with the chocolate pieces -- I bought some of Guittard chocolate ribbons at a specialty shop and would like to use them in this recipe. I am assuming that, if it would be appropriate, I should go up in size in cookie scoops. I have been using the teaspoon size and then baking the dough at 325 degrees for 23 minutes, but am thinking that, at least, my usual cookie scoop would be too small for these pieces in getting a good balance between cookie and chocolate. If so, would you recommend a minimum size of scoop I should probably use? Also, how long would I then bake the (larger) cookies? If, however, you do not think this recipe would work well with the ribbons, would you kindly suggest another one that would? I would really appreciate this. Thanks!!! Hi there, fellow baker! We're glad to hear that this recipe is so well-loved by you and your friends! We're not very familiar with the chocolate ribbons you've mentioned. Our quick search (and this is if we're looking at the same item you have) makes it seem as though the ribbons are a coating chocolate, in which case we wouldn't suggest baking with them. We'd recommend contacting Guittard or the shop you purchased them from though to be sure and for some suggested uses. Omg, this chocolate chip recipe is GOOD. Definitely baking this again, which will probably be soon since I ate my way through this batch way too quickly! I subbed vegetable shortening for coconut oil, and the texture is still crispy on the outside, soft towards the middle. No noticeable coconut flavor. 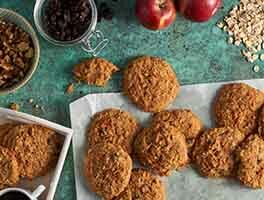 I have made this cookie recipe over 10 times in the past two months.. you cannot find a better recipe anywhere. Delicious! I made them with a 1/3 cup scoop to make huge cookies. Baking time is 8-12 minutes at 325 F. Switching cookie sheets every 4 minutes. Awesome recipe. Finally cookie success! My cookies always turned to flat pancakes with chips sticking out. These were perfectly round cookies. Made as written, omitting the almond extract. I used Spectrum Organic Shortening. Very good flavor as well. This is my go to recipe for sure! Thanks KAF! I made without any substitutions. Cookie has a great texture, but is a bit too sweet for my taste. I will probably bake them again, but will also try to find a cookie with a little less sweetness. I had never tried this recipe before, so I don't know what it's like as written. Before baking, I called the KAF baker's hotline to ask if I could add some of KAF's malted milk powder, since I love the flavor of it in pancakes and blondies. David from KAF was a huge help, and recommended I swap out 70g of the brown sugar with 70g of the malted milk powder, since the malted milk powder behaves as a sugar and not a flour. I have to say the results are *incredible*. What a completely delicious flavor; not too sweet, perfectly crisp edge and a truly "bendy" middle. I used white vinegar, and butter-flavored shortening; everything else, save for the malted milk powder swap, is as written. This is the cookie recipe I'll be using from now on. Thank you KAF!